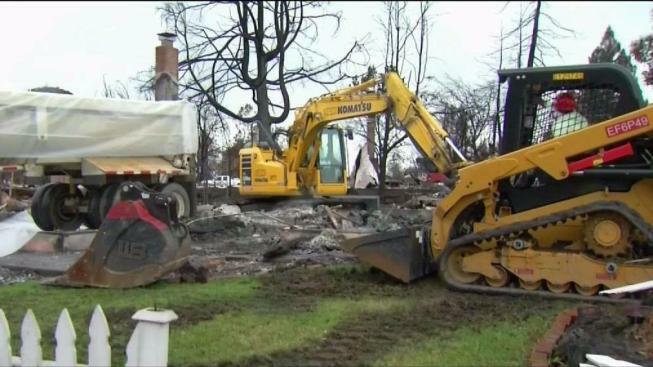 Monday marked the last day North Bay homeowners could sign up to have the Army Corp. and FEMA clear ash and debris from the wildfires' destruction off their property. On Monday, more than 4,000 permissions were signed. Last week, 1,800 permission had been signed by homeowners. The Army Corp cannot send in the cleanup contractors unless homeowners give their permission. Christine Sosko, director of Sonoma County's environmental health department, said the goal is to have 85 to 90 percent of the right of entry forms signed. Don and Debbie Johnson of Santa Rosa's Coffey Park are among those who waited until the last day. The wildfires have been extinguished, but a new risk has reared its head in the North Bay. Pete Suratos reports. "A lot of inadequate answers to the questions that were asked like regarding trees and other things that weren't really addressed," Don Johnson said. "And it's still kind of confusing." The Johnsons have live din their house for 22 years, but unlike many of their neighbors they regularly upped their insurance coverage. Don Johnson works in construction and figures it will be $300 per square-foot to replace burned out homes. Those taking in the right of entry forms said insurance is the No. 1 concern of those homeowners coming in to sign up. Meanwhile, authorities continue to monitor a new risk following the deadly wildfires. 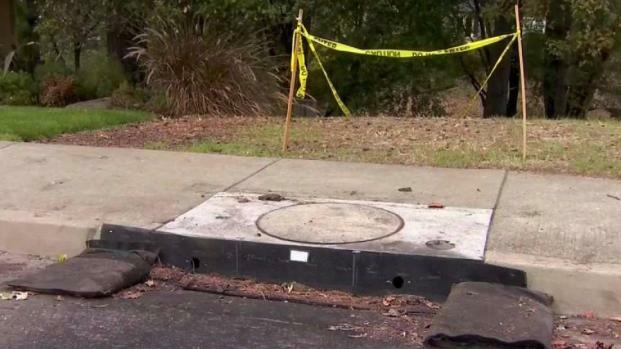 Officials on Sunday announced that a number of underground plastic pipes were damaged by the destructive wildfires, resulting in the potential for sinkholes, landslides and flooding amid ongoing storm systems. More and potentially heavier rain is forecasted to arrive on Wednesday. The wildfires have been extinguished, but a new risk has reared its head in the North Bay. Officials on Sunday announced that a number of underground plastic pipes were damaged by the destructive wildfires, resulting in the potential for sinkholes, landslides and flooding amid ongoing storm systems. Sergio Quintana reports.